Smoky knows only one way of life: freedom. Living on the open range, he is free to go where he wants and to do what he wants. And he knows what he has to do to survive. He can beat any enemy, whether it be a rattlesnake or a hungry wolf. 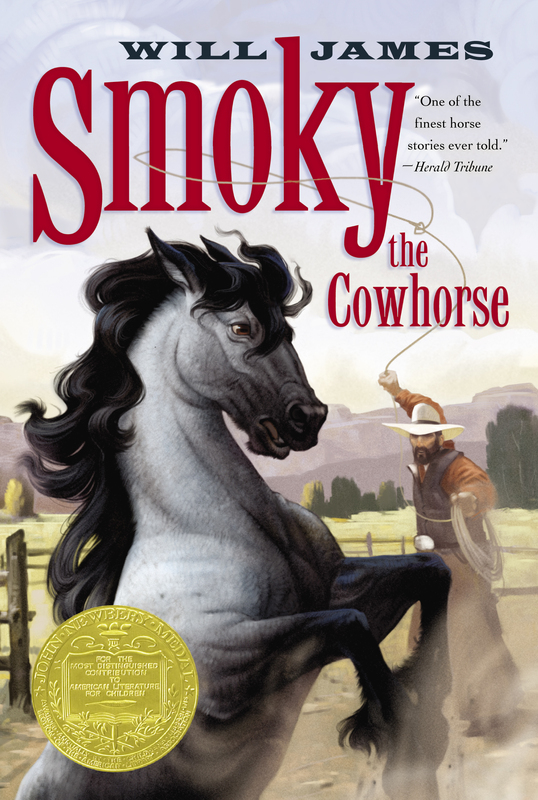 He is as much a part of the Wild West as it is of him, and Smoky can't imagine anything else. But then he comes across a new enemy, one that walks on two legs and makes funny sounds. Smoky can't beat this enemy the way he has all the others. But does he really want to? Or could giving up some of his freedom mean getting something in return that's even more valuable? "There have been many horse stories. But not one of them can compare with this book." "One of the finest horse stories ever told."